Wadi is a Gujrati word that means small orchard which is actually a tree based farming system. Two or more tree crops are selected in a wadi model to minimise the biological and market risks. In 5 years a poor village of 100 families can get converted in to an orchard of 100 to 150 acres producing hundreds of tonnes of fruits. This program aims at reducing migration of tribal people to urban centres by providing them livelihood in the form of income and basic necessities like fuel wood, timber and cattle fodder. Janmitram has successfully created 925 wadies with prime support of NABARD, and going to create 330 another wadies further. The greatest achievement is that the areas chosen for wadies were barren; farmers grew nothing but minor millets in certain patches of these lands, it has now become valuable assets. We assisted farmers to plant it with high yielding fruits verities as main crop; and vegetables are grown as intercrop. One tribe gets one acre land developed under wadi. This program is running from 2011, in 3 phases. Mango, cashew, Guava and lime are distributed at no cost. Fertilizers, insecticide, pesticide in appropriate proportion were applied. We provided water source at every wadi cluster, in forms of bore well, ring well, pumps and pipes etc. We proudly say that our plant survival rate is above 95% with development of land and water resource, intercropping has become popular. We also provide loans from TDF to strengthen WRD, fence and to purchase inputs for intercrops. 65% of wadi areas are under continues intercropping, and farmers are getting 25 to 90 thousands additional income from their landscapes. Joint efforts of our team and farmers have made true miracle. 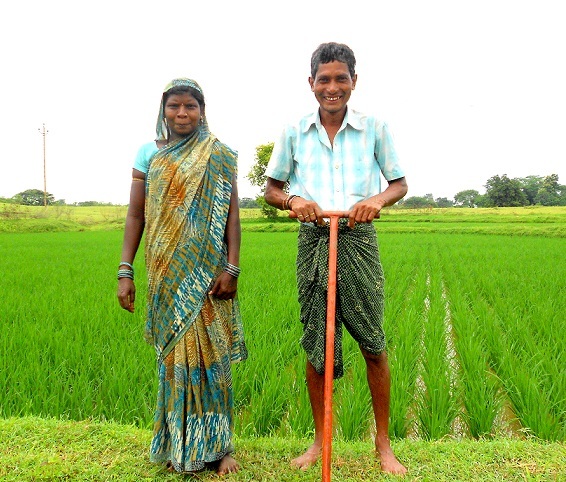 Water and soil conservation is core of this program, which are entailed by series of livelihood activities. The program is a part of GOI-IWMP(integrated watershed development program) in which Janmitram is entrusted to treat 4600 hectares of land spread over 20 villages of Kharsia block. Over 2500 families are getting benefits with it. 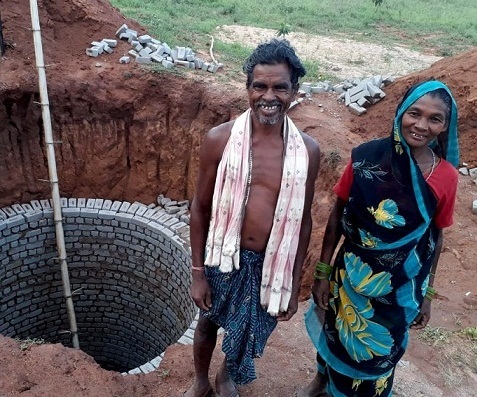 Creation of water harvesting structures is those which help to increase the ground water recharge and surface water availability for agriculture and other usage. Soil conservation activities are those which help to check soil erosion and stabilize fertile topsoil of land. SWC work improves the qualities of land and water availability for agriculture development. Those who don’t have substantial land resources are taken into micro enterprise development i.e. animal husbandry, business activities etc. activities are done with rational mix of loan and grant. Since the program is meant make community self sufficient, formation of village’s watershed committee, its training on managerial and technical aspects becomes more important for sustainability. Also, formation of women self help groups, their federations and farmers interest groups are formed for participatory utilization of resources. Sustainable livelihoods are core of Janmitram’s philosophy. 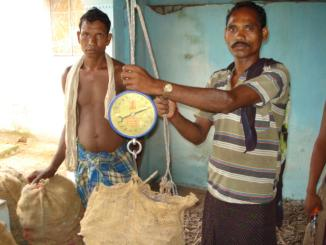 The way of earning livelihood should conserve and enhance natural balance in ecosystem. Two major programs are ongoing in four blocks, covering 85 villages that benefits 5000 families. One is Wadi development program sponsored by NABARD. Second one is Watershed development program sponsored by government of India, department of land resources. These two programs are making people self sufficient in their own areas. People have stopped migration to urban areas through the best efforts of natural livelihoods by Janmitram. Now they know to proper use of natural resources around them, and they don’t need to go outside for subsistence. These are our programs, which we do for people to change their life in a good way. 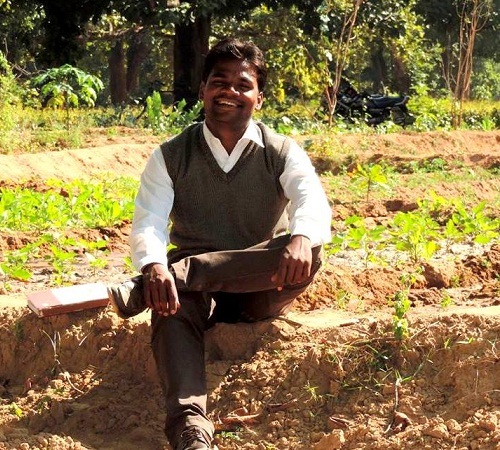 State Forest Department (SFD) in chhattisgarh had constituted Joint forest management committees in forest-dominated arias to induce grater people’s participation in forest conservation and management. Janmitram, in 2003 was assigned to prepare forest management and community development micro-plans for these committees. We, in our micro-plan, have suggested formation of SHGs inside JFMCs and to associate them with income generation activities. After submission of micro plans, department asked us to help in its implementation, especially in SHG aspect. Abundance of forests in JFMC areas, led us to suggest forest-based activities. We suggested that training of lac cultivation and processing would be viable activity in these areas. Lac project benefited 295 BPL (below poverty line) families. First crop of Lac was expected to earn Rs 0.6 Million. In the next 2 years, we will be striving to quadruple the production and returns. More families are likely to join this programme in forthcoming season. This year, we had started a comprehensive project on lac cultivation and processing, also through previously formed women self help groups. This is a special project under SGSY scheme of Government of India, which we run especially for tribes. 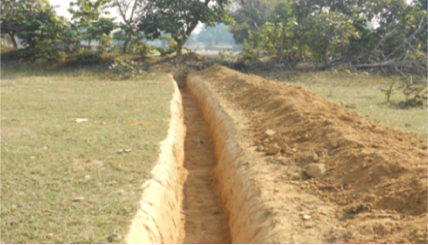 The project is started in forest dominated areas of Raigarh district. More than Five thousand tribe families got the benefits by this project, united in 400 and more self help groups. 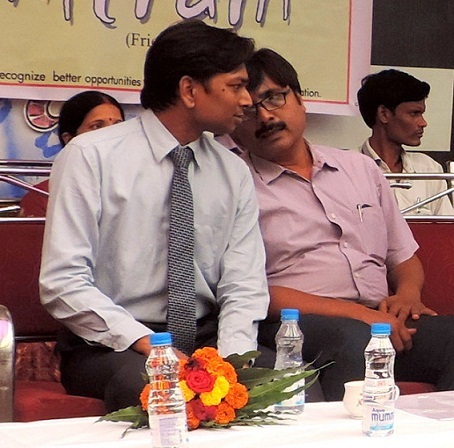 Six, out of nine blocks of Raigarh district were originally selected for project. 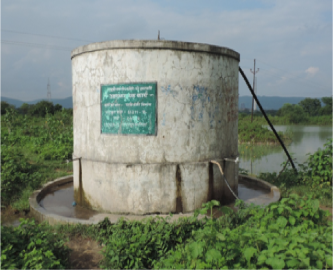 They are namely – Kharsia, Raigarh, Gharghoda, Lailunga, Dharamjagarh, Tamnar and Pussore block however was added later by project monitoring and guidance committee. According to the World health Organization (WHO) more than 1 billion people all over the world, rely on herbal medicines to some extent. 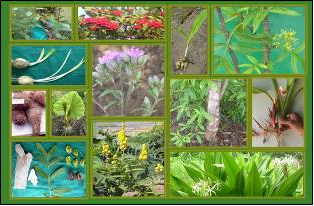 There is a need for conservation and sustainable use of medicinal plants. This can be potential provider of returns to the farmers. This year, we prepared a database of wildly growing medicinal plants in forests of Raigarh District, we utilized 21 Acre barren land for cultivation of selected medicinal plants, and through women self help groups. We supported these groups through technical support, trainings, and marketing. This Project was striving to build an environment in favour of medicinal plants so that more and more farmers and peoples association join this activity. We have organized training camps for farmers, SHG bank linkage programme in which various government officials, yuva mandals, SHGs and bankers. Awareness rising which was the prime object of this project. It was done through wall writings, pamphlets and through group discussions among SHGs. After the beneficiary’s identification, 1st orientation, programme was done in village Kosam-ghat, in Presence of local MLA, Mr. Ompraksh Ratia. This was followed by orientation programme at Chhrratangar and Dhanvardera villages. 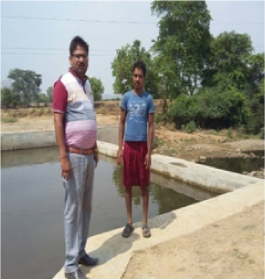 Enthusiastic farmers and youth constituted two self-help groups for medicinal plant cultivation, In Dhanvardrea village naming Janmitram Sanjivani Berojgar Kalyan Samuh and Janmitram Dhanvantari Krishak Kalyan samuh. 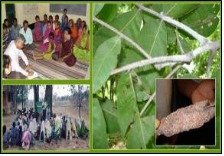 This Project on Medicinal plants cultivation was being supported by National Medicinal Plants Board (NMPB) Department of AYUSH, Ministry of Health and Family Welfare, Government of India. Janmitram was Nominated as Facilitating agency for this project in Lailunga block of Raigarh district, Millie-Watershed code 4G2C3E. NGO is especially Supporting PIA in Community Mobilization and Training Component. 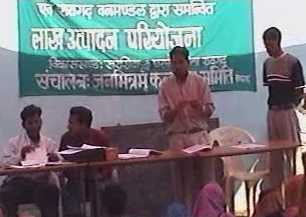 We had arranged Many Workshop for orientation of PIA and village community, Pancahyat, SHGs etc. for implementation of project. We had prepared detailed treatment and Action plan through PRA exercise, for all villages incorporated in the project. After that our experts commence various trainings and workshop according to the need of community. In December 2003, National bank of Agriculture and rural development bank (NABARD) extended its support to Janmitram to form 100 SHGs in Gharghoda block. We completed this project by 2006 with making 114 quality SHGs. This year NABARD came up with assistance to form 250 SHGs in Gharghoda and Lailunga. We have started the new campaign with old enthusiasm. We have successfully Formed 48 SHGs by 31st March 2007. The time line for goes up to 3 years, i.e. October 2009. Keeping eye on goal of women empowerment, we has focused on formation of women groups. Till March 2007, Janmitram has formed 214 SHGs in which 98 pecent are of women. All these groups have a Saving Account in nearby bank. Invariably, all groups meet weekly for discussion, credit sanctioning and distribution among members and thrift saving. Savings, after meeting the internal lending are deposited in bank. Organization has also credit linked 148 SHGs with bank, so that the Group can lend small sums repeatedly without bothering for documentation. Our SHG programme has mobilized 3.14 Million Rs as thrift. Bank credit to groups is now reaching 4.5 million Rs. Such big Cash flow in rural groups is doing miracles for group’s confidence. Bankers are happy with repayment status, as none of our group has gone defaulter till date. Many groups are involved in trade & service activities. Shy ladies turned up in confident entrepreneurs. We are also upgrading traditional skills through trainings so that it turns up into profitable business rather then a cultural practice. New activities like Lac cultivation & mushroom growing have also been introduced in SHGs. More than 2000 families are benefited with our SHG movement and more families joining hands with each passing day. Such a big mass, once belonged to disadvantaged class, is now putting its own agenda for development. This is biggest success for which strive, to bring real freedom and democracy to disadvantage communities. Self help groups make hinge for all community development initiative of Janmitram, i.e. Women empowerment, livelihood enhancement and socio-economic development to expand our intervention in new areas, formation and nurturing self help groups are primary activity. National Bank for agriculture and rural development is partnering in SHG formation and nurturing. We doing SHPI project with target of 250 SHG. We had formed these SHGs in last year and now preceding it with training, financial linkage and income generation activities. Janpad Panchayat Raigarh entrusted us to conduct trainings for SHGs formed under SGSY scheme. JP had sanctioned revolving funds to fifty self help groups in the year 2008-09. Now they need to impart training for income generation activities chosen by SHGs. Out trainers imparted trainings in 8 centers. Trainings were organized in two phases; first round was to orient SHGs for better meetings, accounting procedure, fiancé management and other entrepreneurship skills. Second phase of training was meant to develop technical skills reading the chosen business activity of SHG. SGSY lac cultivation project has come into its final phase this year. The project was started in October 2006, with support of Ministry of rural development GOI and Government of Chhattisgarh. The project was started with basic objective to ensure alternative source of income through lac cultivation and processing and improving living conditions of tribal families and bringing them above poverty line. The project is intended to benefit 4669 tribe families in which 91% are living below poverty line. 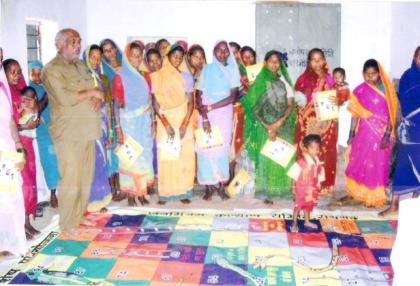 Project is now running in 182 Remote villages in which 436 women self help groups are involved. Our interventions were focused on Social mobilization, Training of master trainers, Training of SHG, Distribution of SHG records and tool kit etc. This year, Sustainability aspect was focal point of field operations. 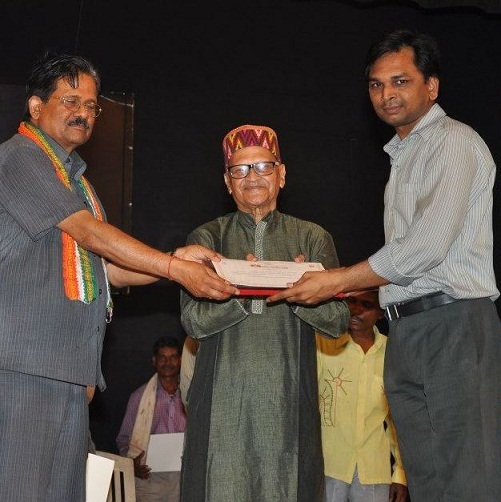 Last year, we laid foundation of Raigarh integrated Shellac association. It is a company – Not for profit (under section 25 of companies act). All the beneficiaries of the project are member of this company. 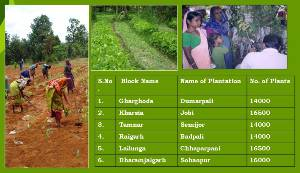 SGSY scheme is operated in Raigarh district since 1999. More than 3000 SHGs are formed under this scheme by different agencies. Ideally, these SHGs are saving and credit linked with banks. Revolving fund is provided initially to start up the income generation activity and then subsidized credit in multiple doses. Practically, lake of motivation, group mobilization, managerial and entrepreneurship skills has derailed this scheme and it is far from achieving its objectives. Volunteer of JanMitram, Conducted a survey of SHGs Assisted by SGSY in previous years, and findings were presented to district administration on 20th Oct 2010. The forum consisted PD-DRDA, Bankers, Line department representatives having associated with implementation of this scheme.The findings and learning of the workshop paved way for “SHG Rejuvenation and business activation initiative- SANJIVANI” in which JanMitram was assigned to rejuvenate SHGs. Taking recently financed SHGs in sanjivani program, a detail SHG-wise Study was conducted in each CD- block. Compilation of data helped us to understand area wise trends and to train SHGs in that manner. First round of training was conducted with an aim to strengthen basic ideology of SHG among members. 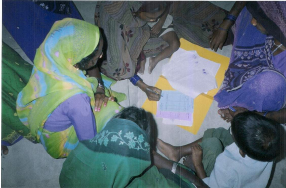 Concept of Meeting, Thrift, Accounting, inter-loaning and Banking behavior were infused in minds of SHG members. Second Round of training was based on chosen income generation activity of SHG. The curriculum consisted Entrepreneurship development, Business Accounting, Marketing, Managing fiancé and stocks etc. it also included technical skills regarding business like Dairy, NTFP processing, fishery, Horticulture and agriculture allied activities etc,. The trainings were followed by subsidy disbursement camps. This was necessary as the fact emerged during the survey that most SHGs were yet to receive their subsidy and credit in continuation with sanction form Zila Parishd. The subsidy given under SGSY is back ended and is paid to respective bank for further disbursement to SHGs. Most SHGs received their subsidy and credit in camps organized by our organization. This year,a total of 582 women self help groups were rejuvenated under this program. These training not only brought new synergy among SHGs but also activated their sense of responsibility towards social development of village and community. Awareness among SHGs cut the delay in having their rights. Many SHGs went to Block offices and banks and asked to clear their dues. This forced officials to cut red tapes and speedup delivery process. Despite of such incidents at field level, leading officials of banks and line department appreciated the efforts and cooperated in the process. 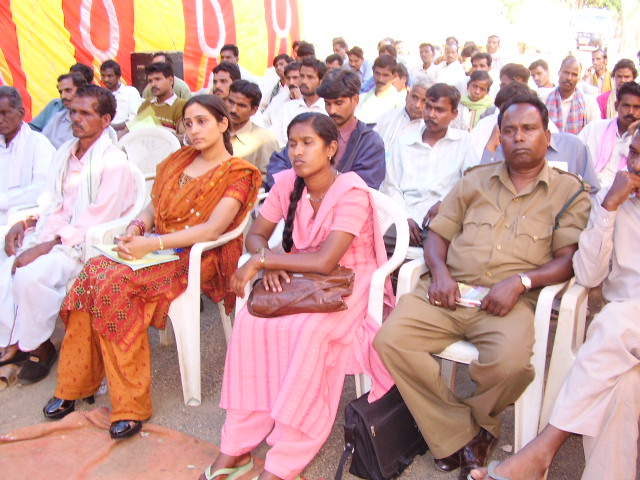 Most successful element of the programme was identification and training of village resource person. The SANGWARI is a youth or elder from village having interest in helping SHGs were selected from village and went under sequential trainings. (The trainings of SNGWARI was assisted by DRDA under BRGF and discussed separately in this report.). These sangwaris participated in trainings as trainers and later assigned to assist SHGs in there nearby areas. This ensures ready to hand availability of resource persons for SHGs and also generates employment as they provide fee based services. As a whole, Total 6247 member of 582 self help groups benefited with this programme. Over 50 Million Rs distributed as subsidy. Moreover, 200 million Rs credit is mobilized in this year.